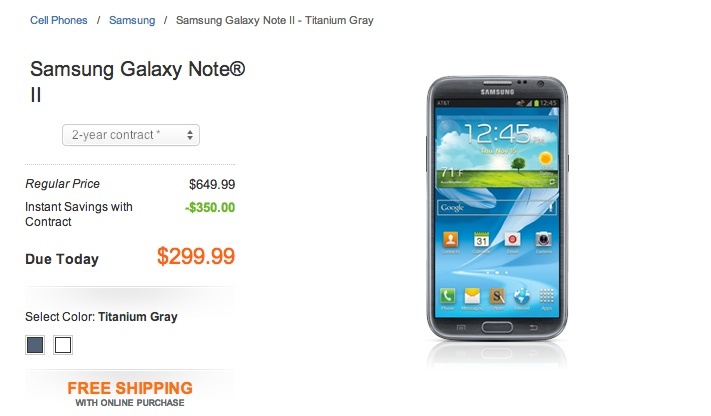 The Samsung Galaxy Note 2 is now available from AT&T for $299 on new 2-year contract. That makes it available on every major carrier in the U.S. except Verizon, who is still targeting the end of the month for their launch. The mega-phone comes in two colors, Titanium Gray and Marble White. It features a quad-core Exynos processor, 2GB RAM, 16GB internal storage, an 8MP camera, and runs Android 4.1 (Jelly Bean). If you have yet to make a decision on the Note 2, you may want to check out our review of it.